DAMASCUS, Syria (AP) — Syria and Iran say the United States is waging "economic terrorism" against countries that have different opinions and should pursue its aims through diplomacy instead. Syrian state news agency SANA quoted President Bashar Assad as saying that the Trump administration's decision to designate Iran's Revolutionary Guard a terrorist organization was an "irresponsible move." 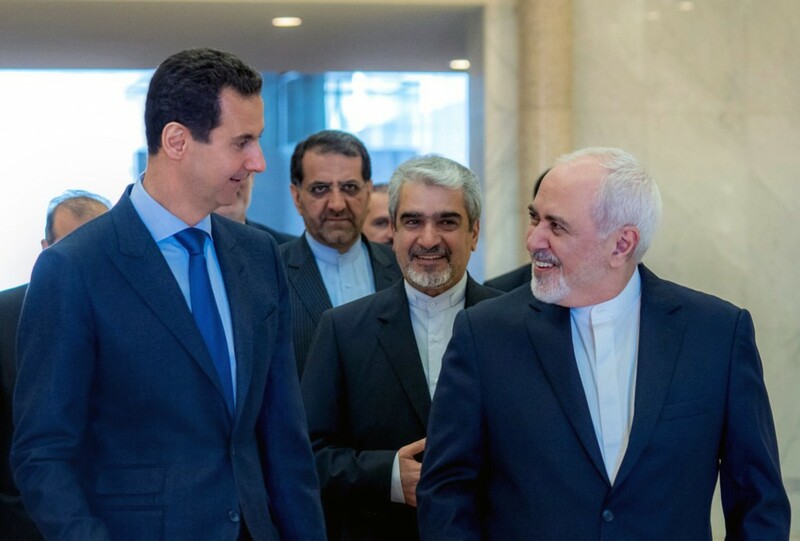 Assad spoke at a meeting Tuesday with Iran's visiting Foreign Minister Mohammad Javad Zarif, who said the U.S. move was "stupid." Zarif resigned in February after being kept in the dark about a surprise visit by Assad to Tehran, but Iran's President Hassan Rouhani rejected his resignation and he remained in his post.